Walking aids are designed to assist walking or otherwise improve the mobility of people with a mobility impairment. 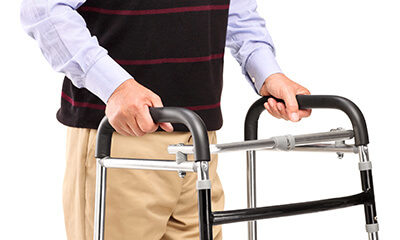 There are various walking aids which can help people with impaired ability to walk and wheelchairs or mobility scooters for more severe disability or longer journeys which would otherwise be undertaken on foot. At Drug Store Health Care Pharmacy, we offer you a complete range of high quality walking accessories, so that you can lead a better life. Fancy, ergonomic, adjustable, foldable, lucite...you name it we have the unique stuff!